Too much stuff and no place to put it? If you’re moving, remodeling, or just need more storage we’ve got a drop trailer or storage trailer solution that’s sure to fit the bill. Call Brockman Storage Trailers today for great rates and better service from a family-owned and operated company with 75 years in the business. If you are moving or remodeling your apartment or home, consider a Brockman drop trailer for residential storage. 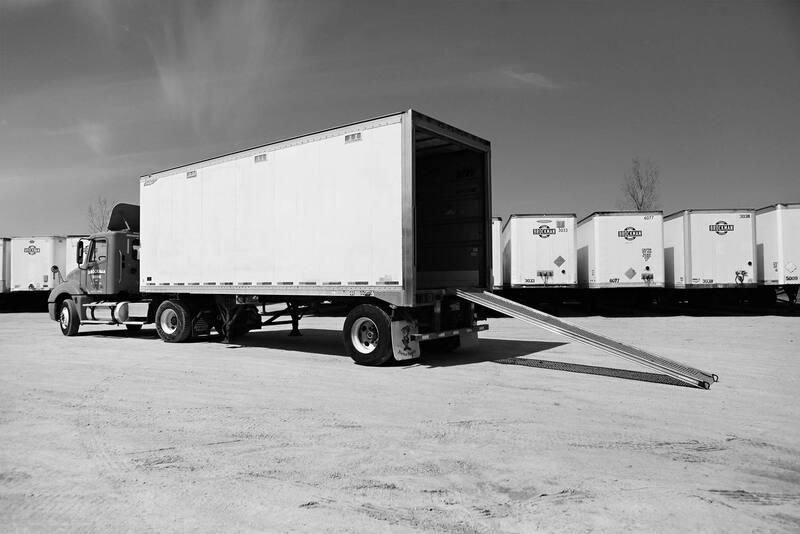 Our drop trailers come in 28-foot and 45-foot sizes. The 28-foot is perfect for apartments and condos, while the 45-foot has plenty of space for most homes. Brockman takes the stress out of moving your belongings, as one of our friendly and professional drivers will drop off the trailer. You load it up at your own pace and schedule a time for us to bring it to the unloading address—usually the same driver will pick it up. Need your trailer stored instead? We will be happy to store it at one of our many yards in the St. Paul area. Our trailers are safe, secure, watertight, and nearly indestructible. We don’t insure property in the trailers, however, so we do recommend you check with your homeowners insurance about a rental policy. They are typically very inexpensive. Brockman Trucking offers the personalized service of a strong family business. We’ve been doing it right since 1938, so call us for your next move. Credit card’s accepted with a 3% surcharge.